Notice: Dear Buyer, Please read the messages before buying.Thanks! 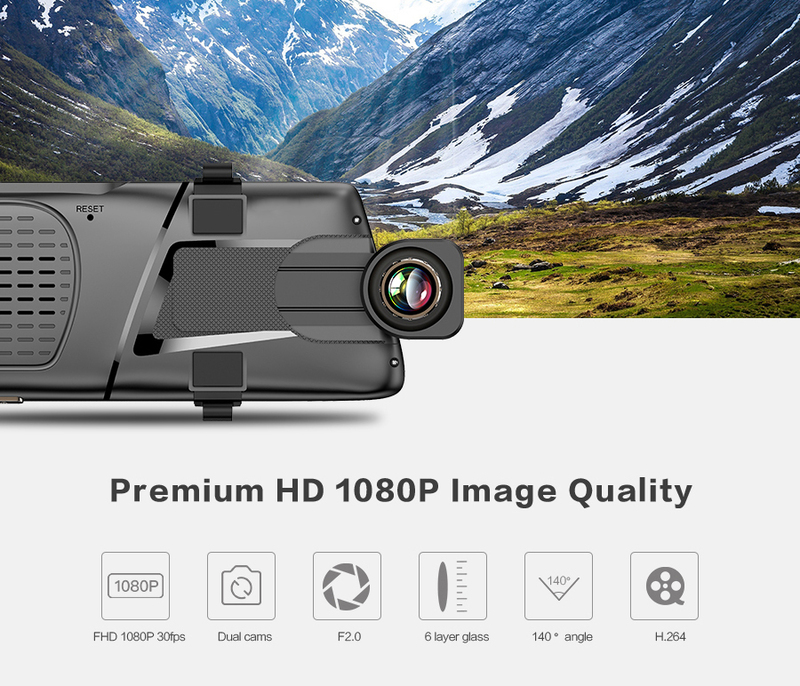 We are manufacturer,our products are direct selling,no re-selling, and we can help our buyers solve all problems.Buy our Car Camera DVRs, if have any quality problem,in 1 month,we will replacement a new good one for you. 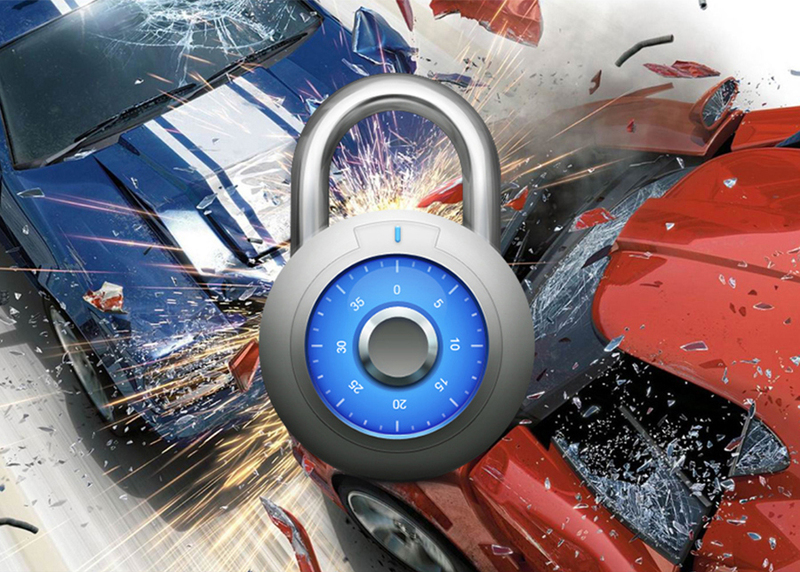 In 6 months,we will repair it for you freely. 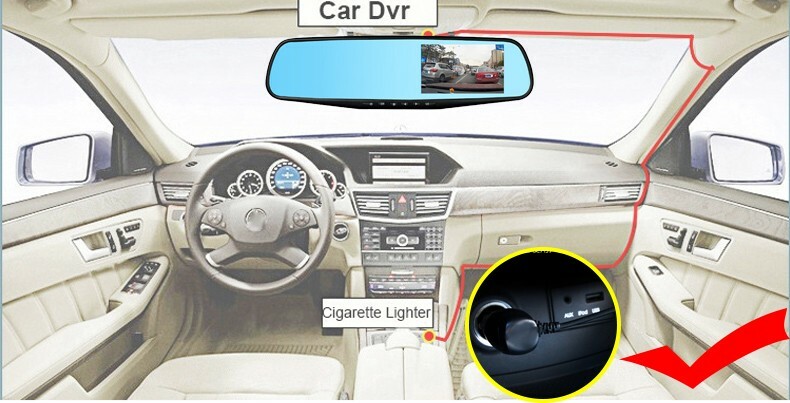 Car DVRs need use in Car,and use Original Charger connect with Cigarette Lighter work. 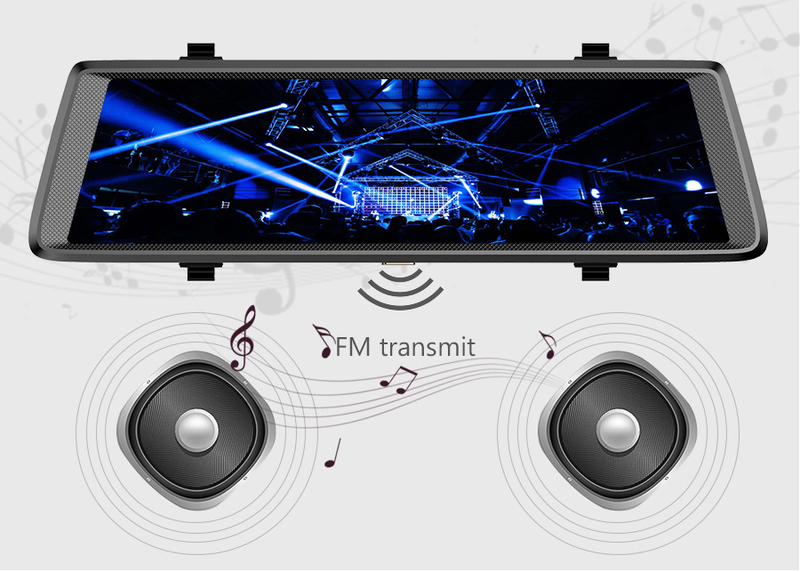 Car DVRs need use 100% New Class 10 TF Card,and above 16GB. 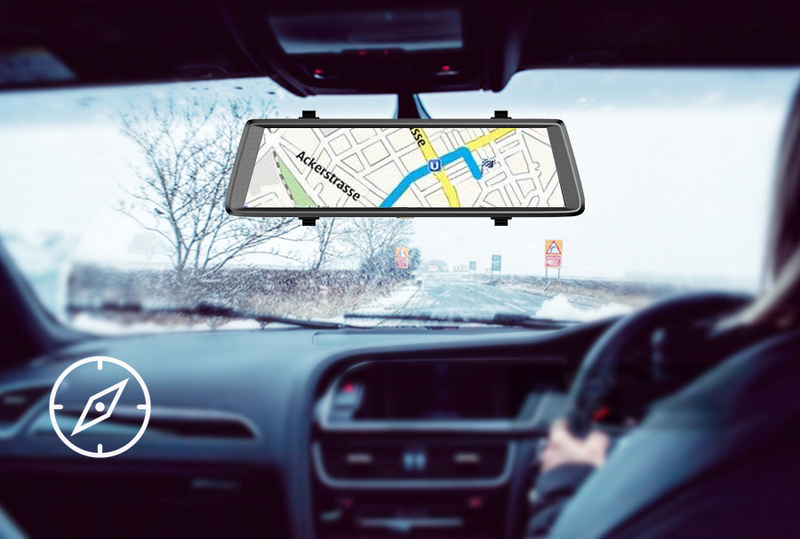 Our GPS Navigation is FHD 1080P Video Recorder,must use high quality Class 10 TF Card, any low quality/low speed TF card all can\'t support our DVRs work normally, if you can\'t make sure you have good TF Card,please buy our Original TF Card together. 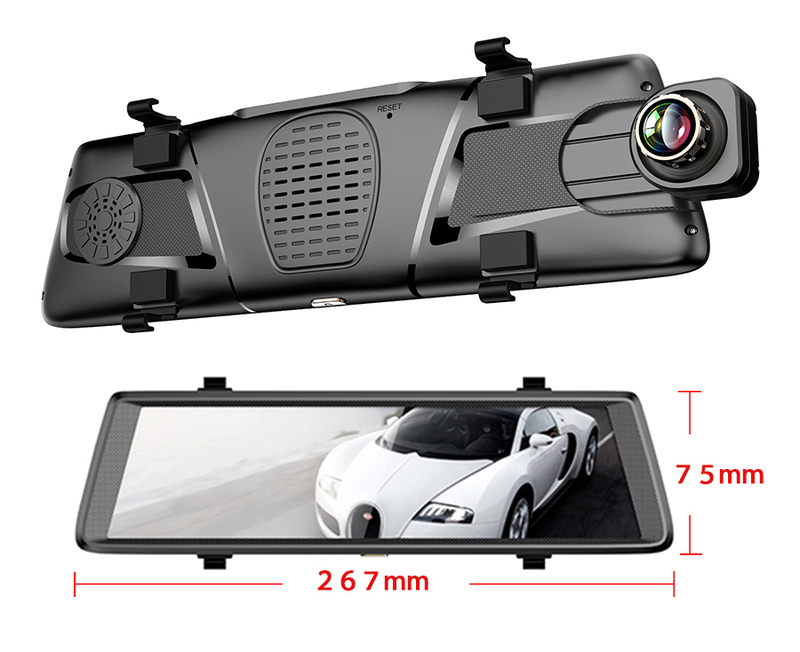 With AHD (1280x720p) Night Vision rear camera, makes the driving rear view more widely, it is triple wide view if compare to the traditional mirror. 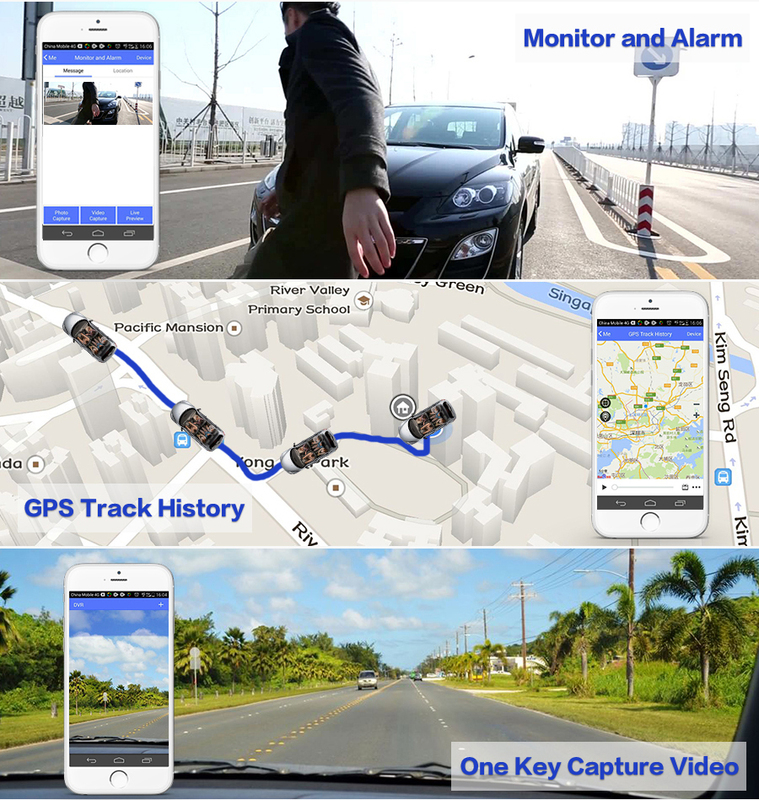 With our unique remote monitor mobile app "Car Assist" and internet connection, it allows you to remote monitor your car driving path, and what happened around your car, no matter where you are. 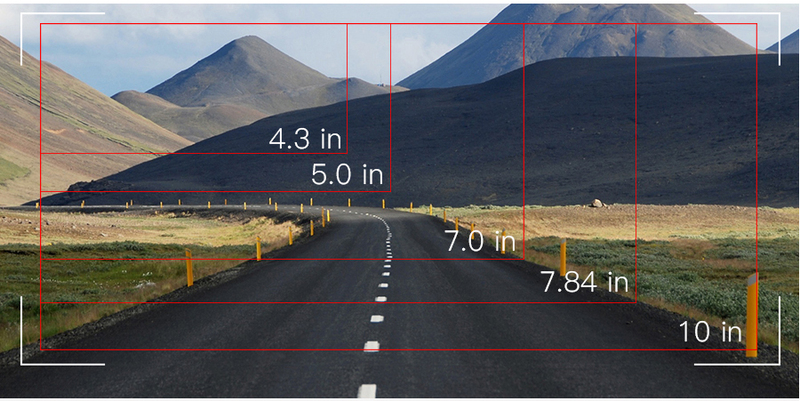 Please DON\'T use the USB cable to power supply the car dvr , otherwise it could not power on. 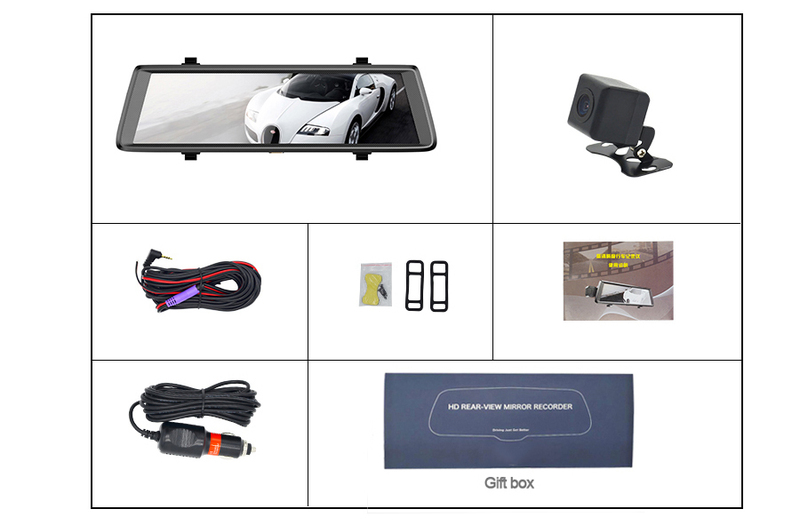 Please use our standard car charger to power supply the car dvr when you receive the package. 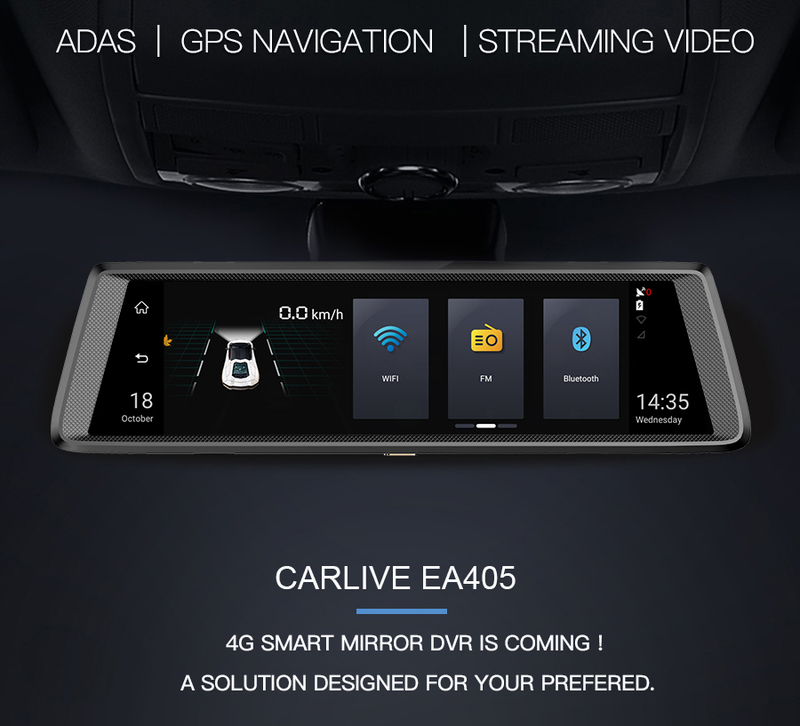 Driving journey is boring?Now start 4G internet surfing with our EA405 Dvr,it built in wifi hotspots,will sync and share the internet data to your smart phone,enjoy reading,navigation,music online for fun. Remarks:please kindly insert your local micro sim card which support below network bands for 4G Internet surfing.Thank you. 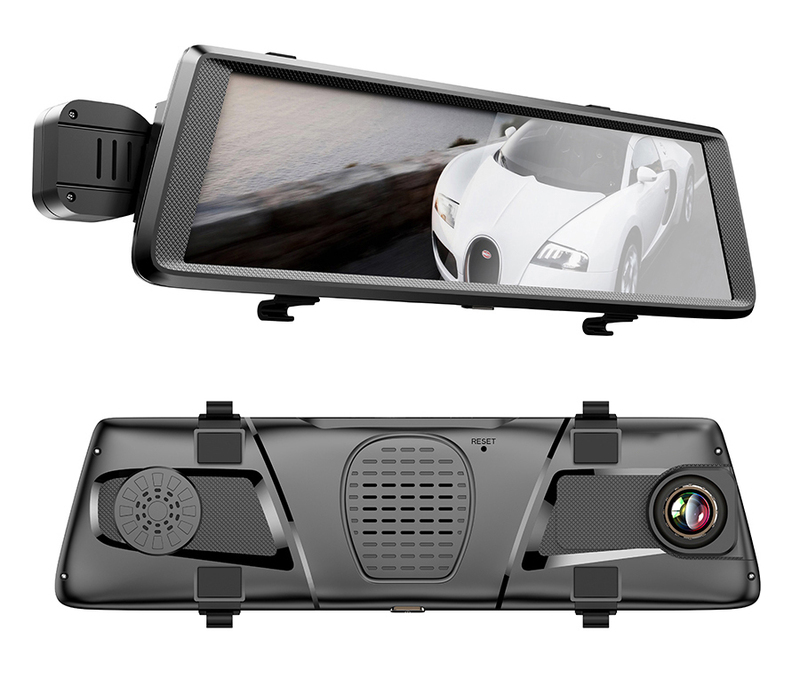 This is all new technology for rearview mirror dvr.EA405 is equipped with this advanced streaming media technology,makes the driving rear view angle more widely,it is triple wide view angle then the traditional mirror. 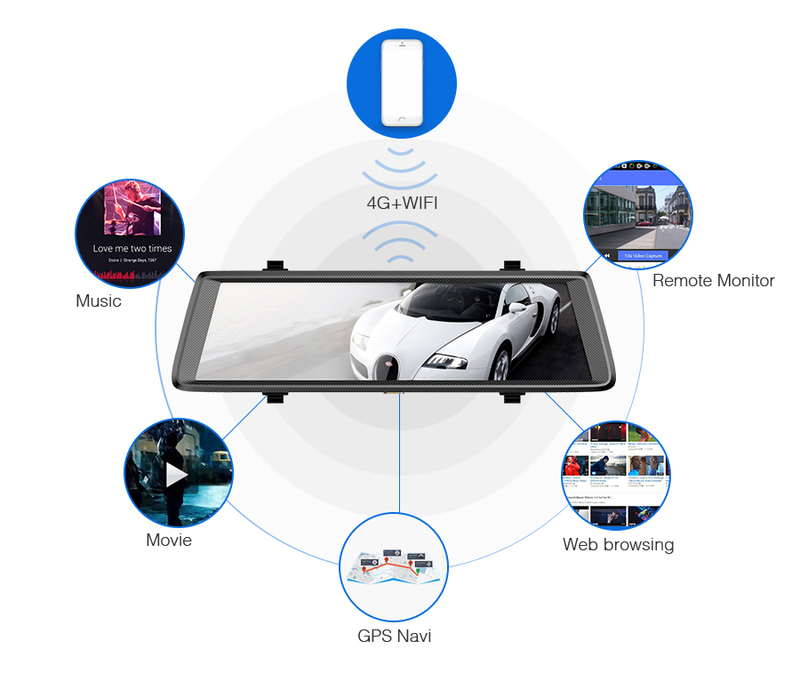 How to bind the car dvr with your smartphone? 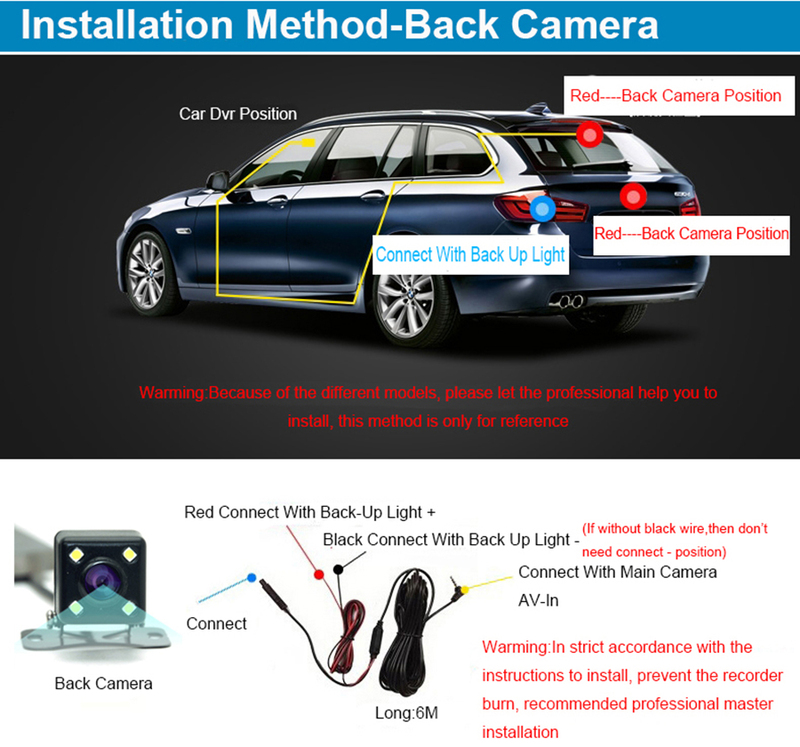 --Step2: Scan the car dvr ‘s car assist QR code to send the binding request . Accept the request on dvr to finish the device binding. 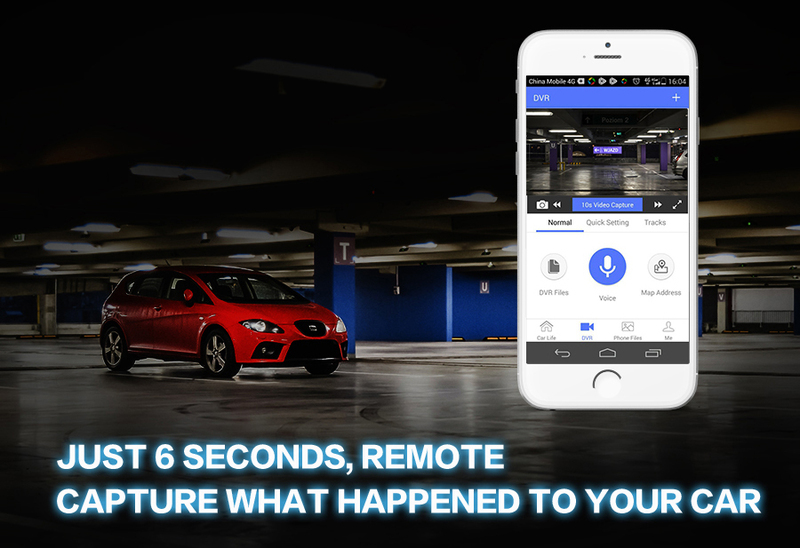 record simultaneously automatically capturing every fleeting moment. 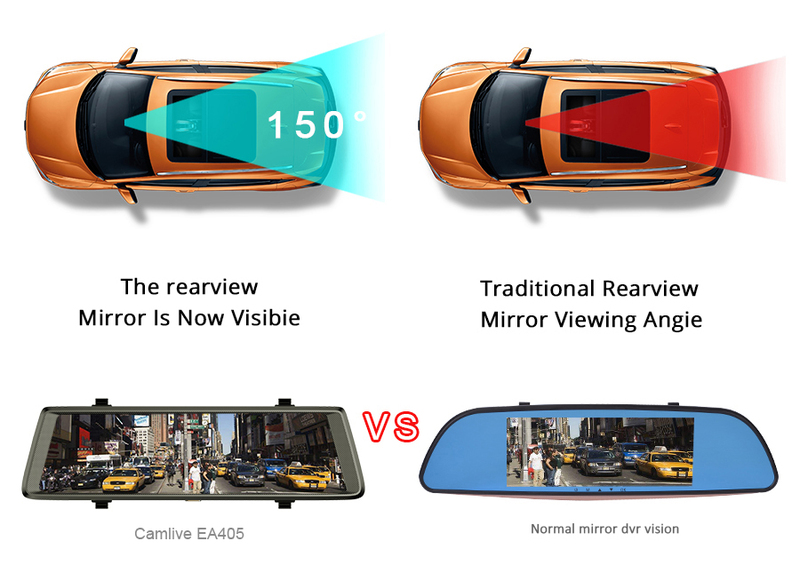 The EA405 will switches to the back camera image view by 10” full mirror screen automatically when the car is on reverse.It comes with high quality images which help to identify vital details such as license plates, driver actions and road features which may prove your innocence. 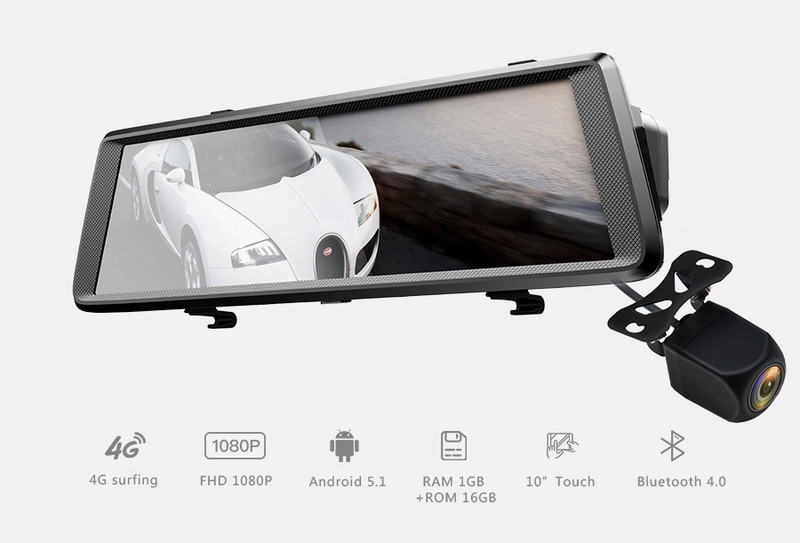 Still worried about the dvr recording display will influence your car rearview mirror function ? 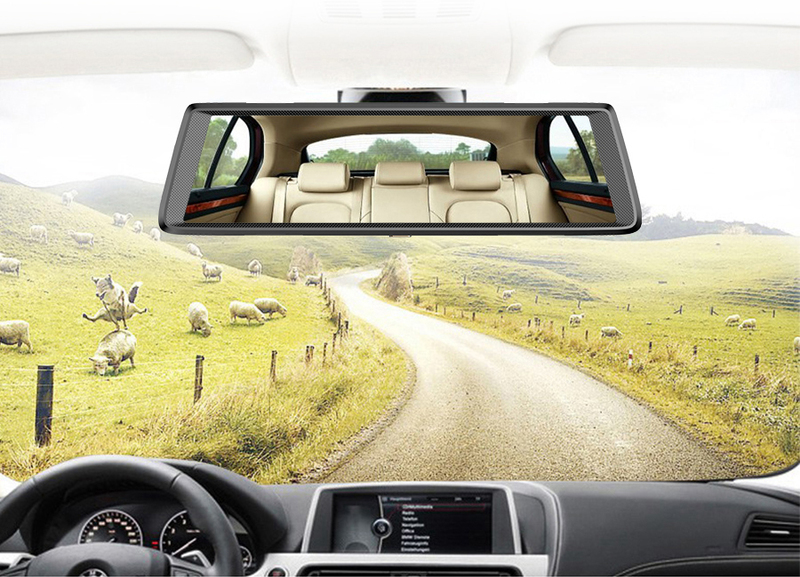 Now just one-key press the power button,will turn off the screen background light at once,will not disturb driving. 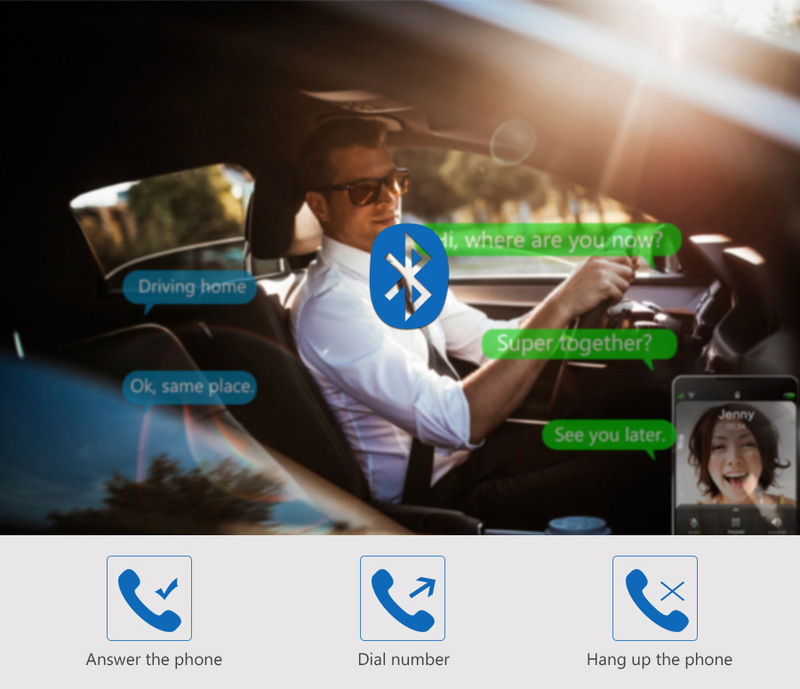 Thanks to bluetooth hands-free,after pairing the bluetooth between dvr and smartphone,you could make and receive calls directly from the mirror dvr itself with the built-in Mic and speaker. 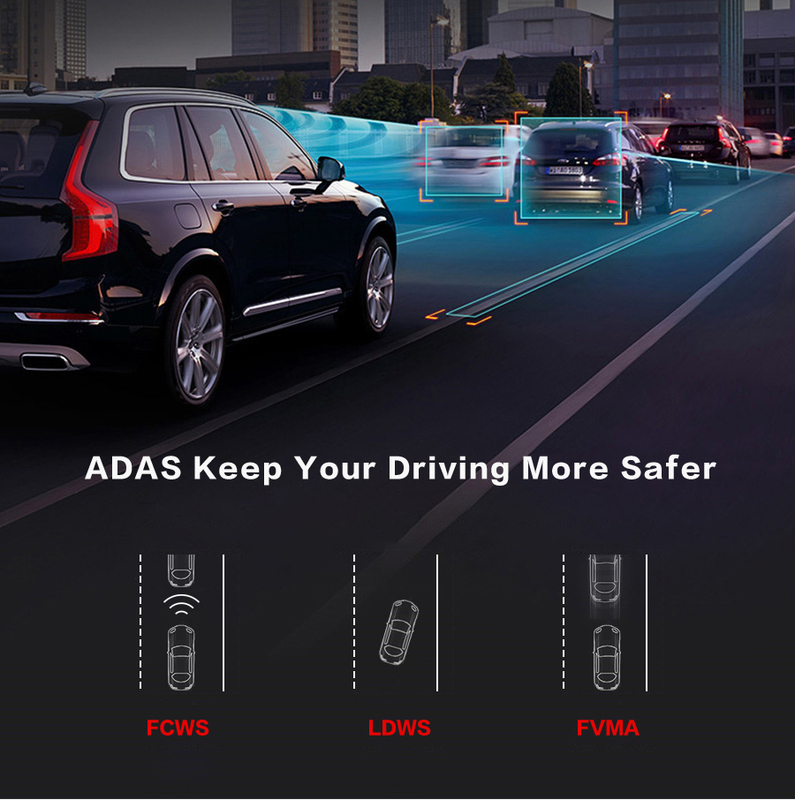 When EA405 be shocked by external force suddenly,the G-Sensor will lock the current record video immediately,the instantaneous video will be the important evidence for one accident. 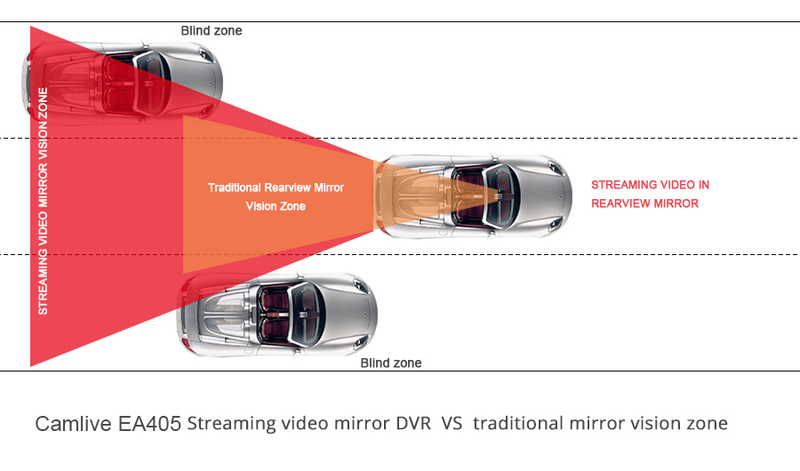 If EA405 be shocked by any external forces,like thief when parking,it will turn on to record automatically. 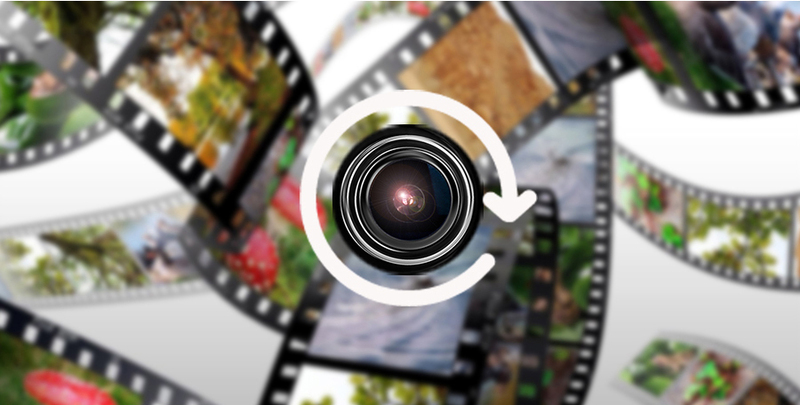 Cyclic recording ensures that your camera does not stop recording when the TF Card is full. 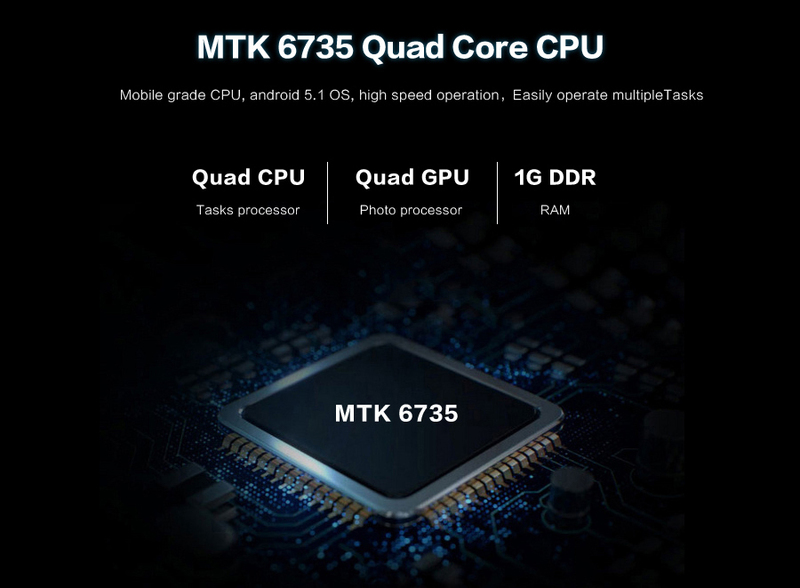 The camera will overwrite the previous video files Iinoleic the TF Card automatically,thus enabling it to record indefinitely. 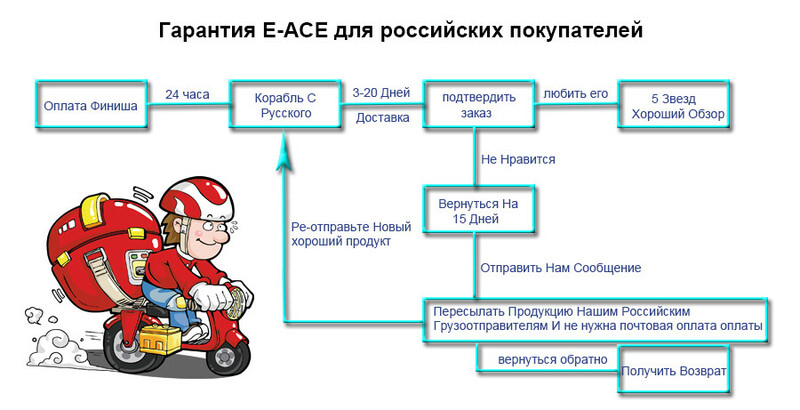 Please refer to the correct charging method below. 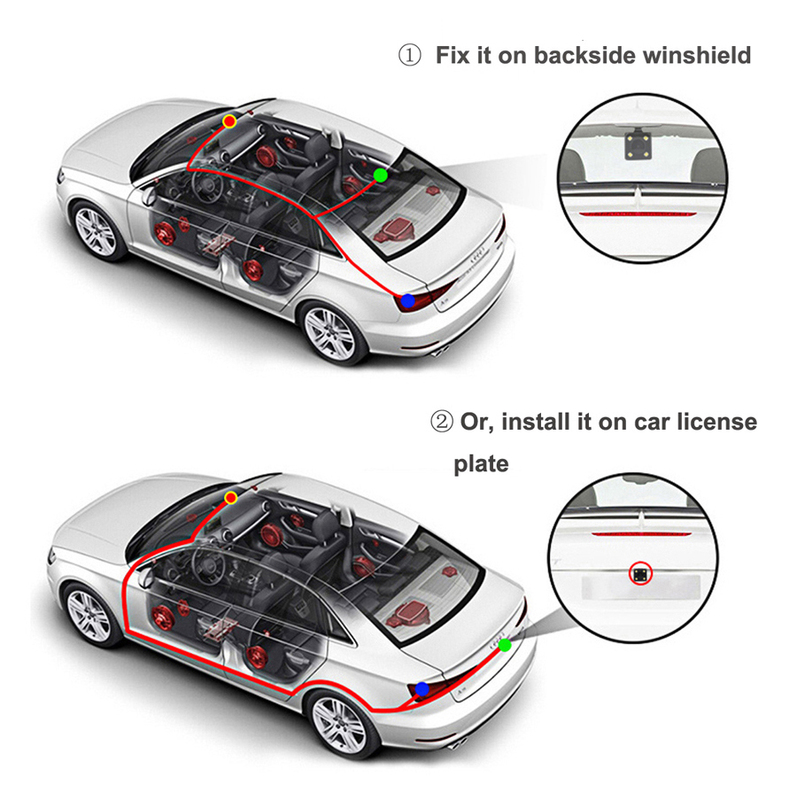 Warning:Please be sure to use our original charger to connect Dvr to your car. 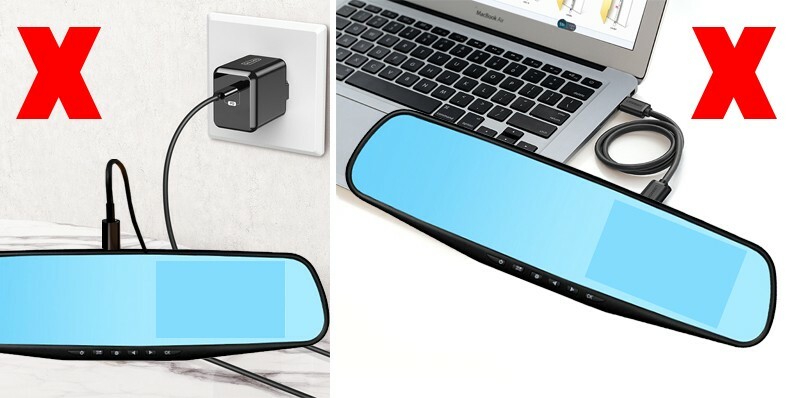 Do not use the wrong charging method. otherwise you will lose the warranty. Thank you for your understanding! 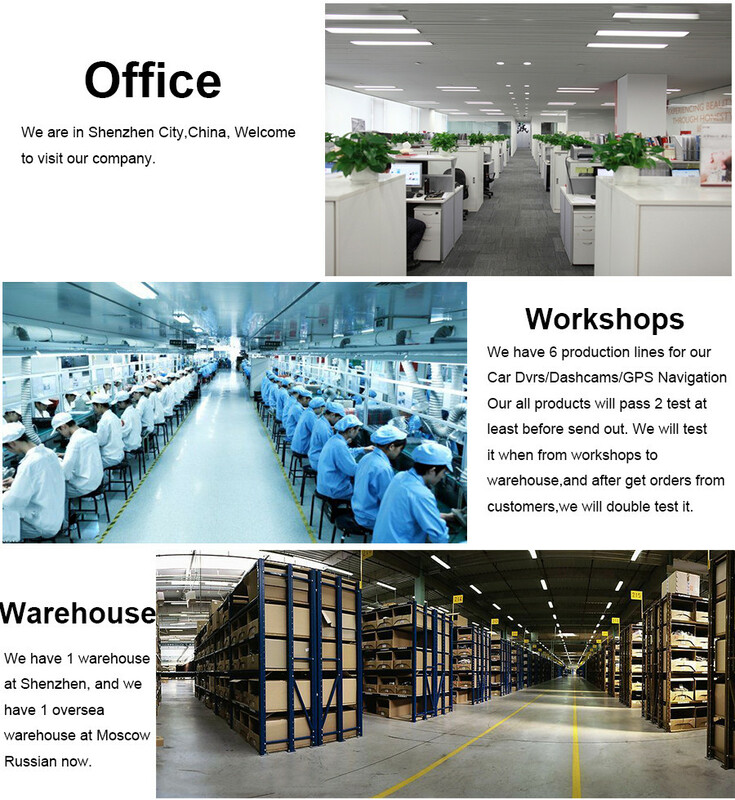 We are manufacturer,our products are Factory Sale, and we have our own IT Department, can help our buyers solve all problems. 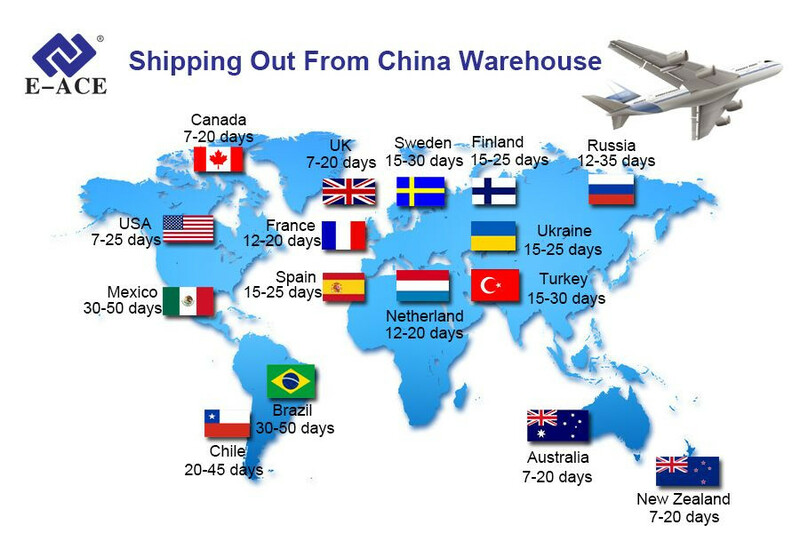 Buy our Products, if have any quality problem,in 1 month,we will replacement a new good one for you.In 6 months,we will repair it for you freely. 1. We strive to maintain the highest standards of excellence for shopping experience for5 stars and 100% customer satisfaction! Positive feedback 5stars is very important to us.